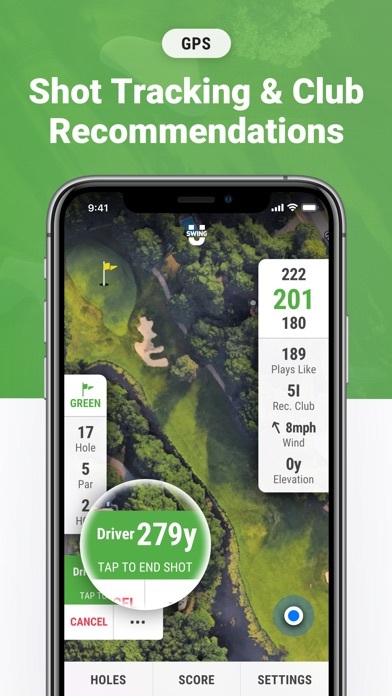 Developer: Swing by Swing Golf, Inc. 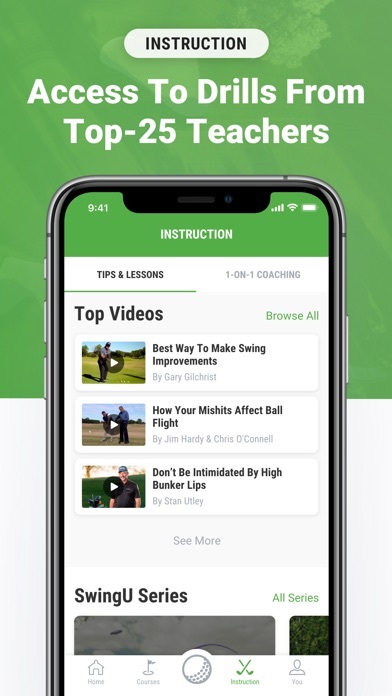 This app has everything you need to play better. Pretty awesome. I cannot get the app on my apple 4 wTch. Followed instructions but to no avail. I love the GPS tracking and ability to record shot distances. 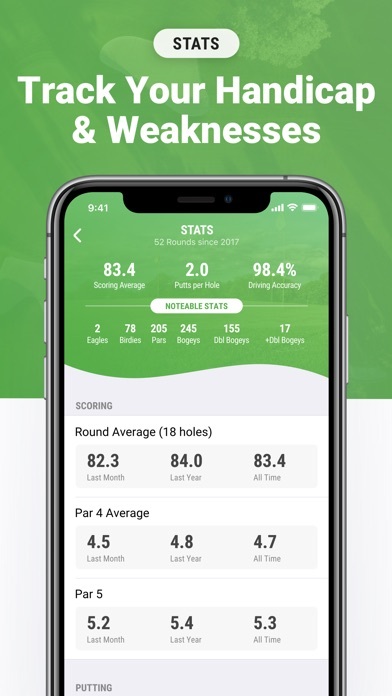 However, I play on a company golf league, which is a best ball/captains choice format, and can't find a good way to use this app in a game where players aren't playing from their own lie all the time. Would love to still get distances and track team score. Can a scoring mode for that be added? No front, back or middle distance for flag that I can see. 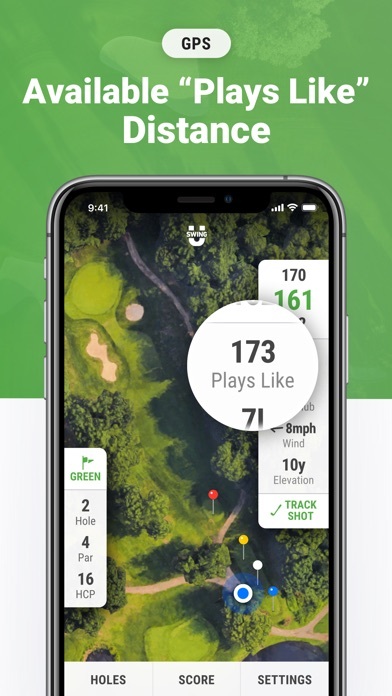 Wish you enter score at end of round without entering the score on each hole. 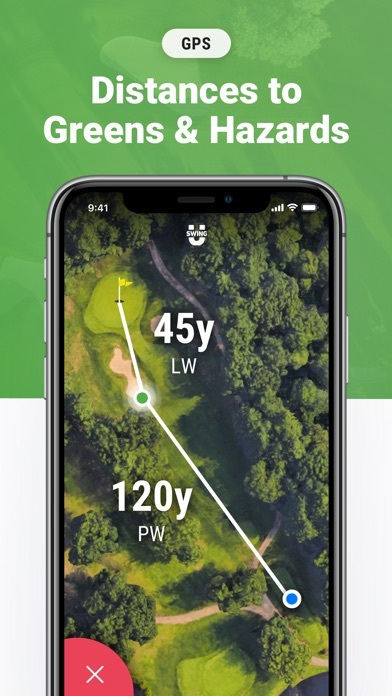 This was the greatest golf app I had. Now it seems every single time I try to add a person the app crashes. Please fix this. Golf season has just started here in the north. App doesn’t work anymore. 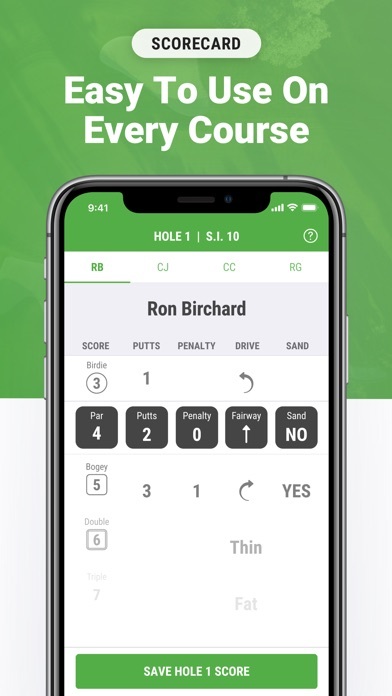 You flip from one hole to the next and the par and handicap stays the same. So #1 is a 400 yard par 4 handicap 2—#2 is a 150 yard par 4 handicap 2. Doesn’t show wind or elevation anymore either. And I paid for the advanced version. Since the most recent update I no longer get a scorecard. When I go to enter the score it asks if I want a scorecard, but doesn’t give me one after I answer yes. Been using the app for quite awhile and am disappointed with the buggy update. 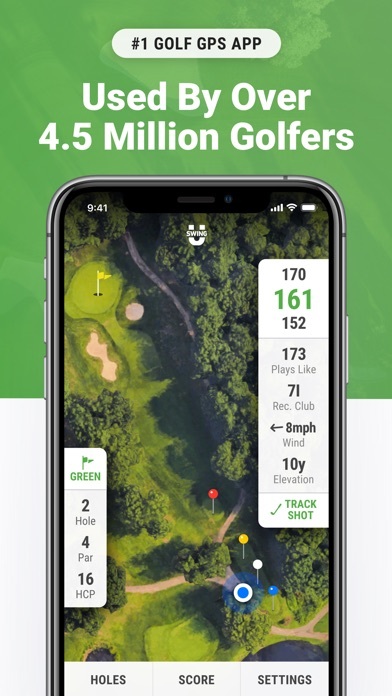 More by Swing by Swing Golf, Inc.